So with the new year most of us have promised to eat healthier, or at least better than we did in the past. What I always think makes this really hard is the cold and snow that leaves you laid up in the house and what else is there to do besides eat some yummy goodness? So instead of ruining your entire plan, there are ways to eat your favorites without all the fat, artificial flavors and preservatives. 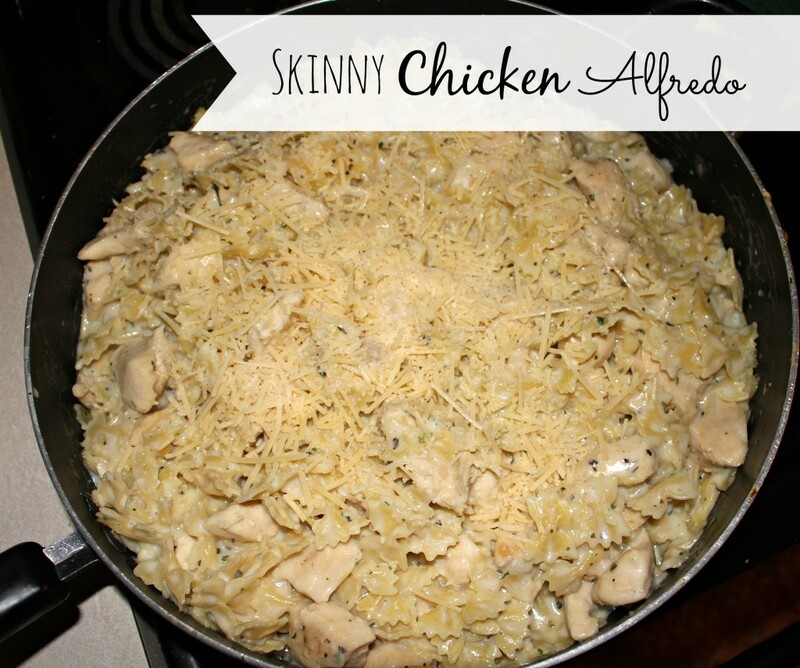 One of our family favorites is chicken Alfredo, and the Alfredo sauce you buy in stores or even if you use your Mom’s homemade recipe is full of fat. 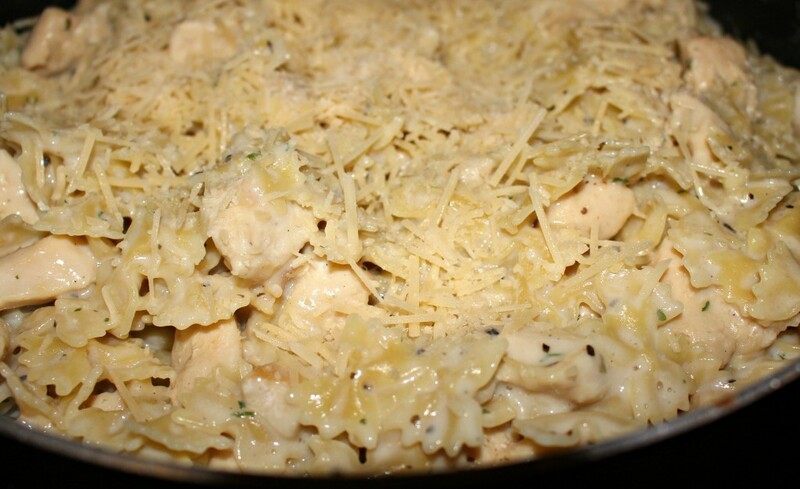 So we’ve came up with a skinny chicken Alfredo that will fulfill that craving without breaking your resolution. Now I triple this recipe because I cook for 5 plus always want leftovers for lunch the next day. The ingredients below is 1 serving for 4 people. If your family eats like mine, you want to at least double that. If there’s just 2 of you, the amount below should be just perfect. Cut chicken into cubes and season with salt and pepper. Heat skillet with olive oil over medium heat – add chicken to skillet and cook thoroughly, adding minced garlic about half way through. In separate skillet or pot (if you make a lot you’ll want to use a big pasta pot) add chicken broth, milk, flour, onion powder, basil, parsley and pasta and stir well. Bring to a boil and cover, reducing heat to simmer. Simmer for about 20 minutes or until pasta is cooked and stir like you would any other pasta – make sure it doesn’t stick to the bottom!